The JSerra swim team hosts a sock drive every year in March for the Loaves and Fishes Soup Kitchen in Santa Ana. Over 800 local families are served each weekend at Loaves and Fishes. The families who come are often in need of basic items. Four years ago, Coach McLaughlin asked Director Maria Dzida, if she could use her swim team to help in any way. She responded with ‘socks’. As Mrs. Dzida spoke of the lenten season and the washing of the feet, this become our project. 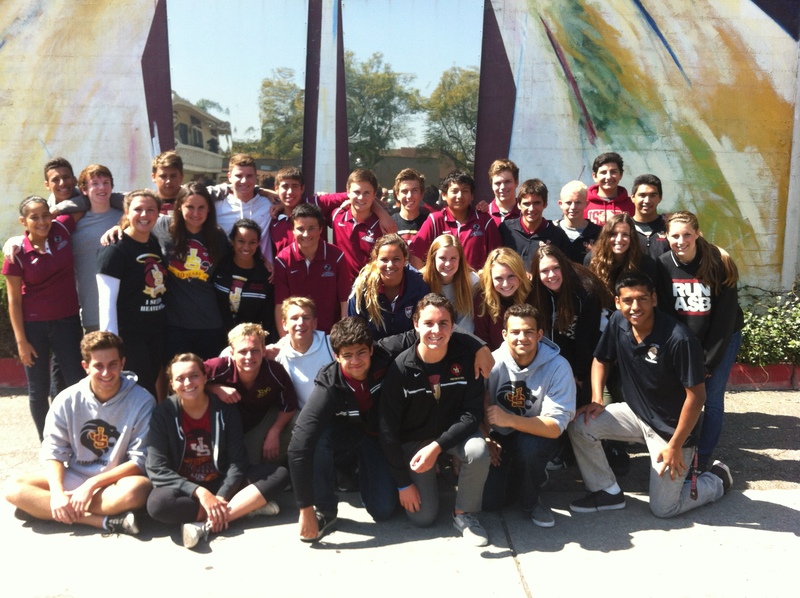 Every Spring, the JSerra swim team collects socks and food items to donate to the kitchen. The swimmers spend the day serving and giving back to those in need.